Did Clinton Aide Break the Law in Emailing from Husband’s Computer? As the FBI reopens its investigation into Hillary Clinton’s handling of classified information over email, questions have been raised about top aide Huma Abedin – namely, did Abedin violate the law in allowing emails potentially containing classified information to end up on her husband’s computer? On October 28, it was announced that the FBI had found emails – perhaps 10,000 of them – that appeared to be pertinent to its investigation of Clinton's emails during an unrelated investigation into messages sent by Anthony Weiner to an underage girl. 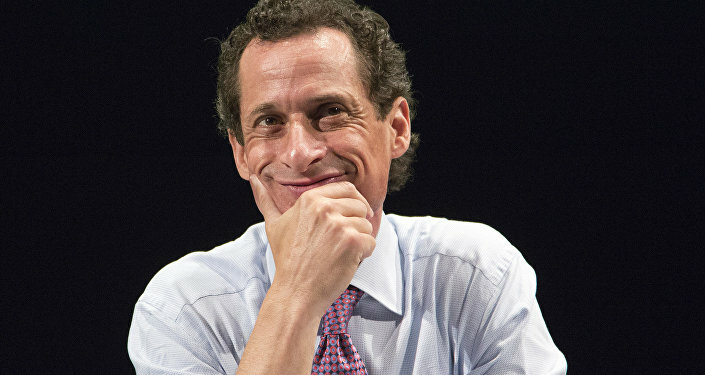 Weiner, the disgraced former congressman from New York, is the now-estranged husband of Abedin. Abedin and Weiner shared the computer at some point, and correspondence between Clinton and her long-time aide were found on it. The following day, Republican National Committee communications director Sean Spicer asserted in an interview on CNN that, if classified information is found in those emails, Abedin has violated the law. "When Huma Abedin left the State Department, they have to file a form of OF-109,” Spicer said in the interview. "It's a separation agreement that states simply people understand when leaving government that they are maintaining no classified information, they understand their legal obligation to protect further classified information and safeguard any potential disclosures of that." Abedin was Clinton's deputy chief of staff at the State Department when Clinton served as the US' top diplomat, and is currently the vice chair of Clinton's presidential campaign. "So while we don't know entirely what’s going on, we do know that Huma Abedin in August of 2013 signed a legal document with the United States government saying she knew – she understood that it was her obligation to turn over all classified information and to further safeguard any further information that could be disclosed," Spicer continued. "While we don't know the facts, while we don’t know what’s going on, we have continued to see a pattern that they say they tell us everything – we know everything – that they’ve disclosed, and time and time again we find out that that is not the case." Now, the US Justice Department and the FBI are seeking approval from Abedin’s lawyers to conduct a full search of the emails, multiple sources report. According to the Daily Beast, the newly discovered emails call into question whether Abedin did actually turn over all gadgets that might have had classified information on them – which she swore under oath this year that she had done. 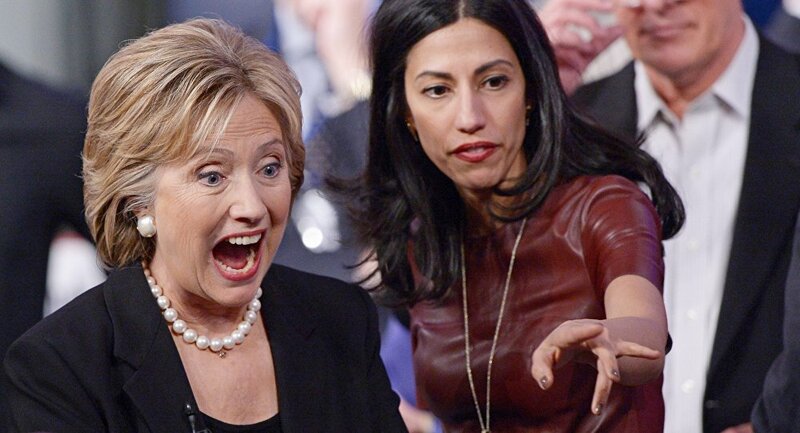 During her deposition in June of this year, Abedin told attorneys that she looked for "all the devices that may have any of my State Department work on it and returned – returned – gave them to my attorneys for them to review for all relevant documents. And gave them devices and paper," according to court transcripts. The devices were two laptops, a Blackberry and some papers, she said. The Clinton campaign is standing by Abedin. In another twist in the email saga that just won't die, US Justice Department officials have revealed that they disagreed with FBI Director James Comey's decision to send a letter to Congress informing them of the discovery of the emails and their possible relevance to the Clinton probe. The Justice Department did not attempt to stop Comey, but strongly discouraged him, reports say, as it violated a longstanding policy to avoid influencing the outcome of elections.